Rajsamand is a town of Rajasthan state of western India. The city is named for Rajsamand Lake, an artificial lake created in the 17th century by Rana Raj Singh of Mewar. It is the administrative headquarters of Rajsamand District. Rajsamand is located at 25.07°N 73.88°E﻿ / 25.07; 73.88. It has an average elevation of 547�metres (1794�ft). 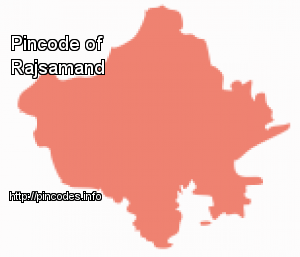 Total population of the Rajsamand district is 9,87,024 of which 4,93,459 male and 4,93,565 female. This district has a male to female ratio of 1000:1000. Rajsamand has an average literacy rate of 67%, male literacy is 77%, and female literacy is 57%. In Rajsamand, 15% of the population is under 6 years of age.